What happens when furniture maker Ikea and audio junkie Sonos collide? Furniture that makes a lot of noise. The fruit of their collaboration is the Symfonisk series speaker products. Currently, it’s populated by the Symfonisk speaker lamp and the Symfonisk bookshelf speaker. The Symfonisk speaker lamp is exactly as it sounds. In addition to warding off darkness, the Wi-Fi speaker in the lamp’s base can pair with the Sonos app and play music from a smartphone. The Symfonisk speakers won’t accept voice commands, an interesting omission considering that’s half of what makes a speaker system smart. “We knew from the start that we wanted to challenge the traditional high-tech aesthetics. 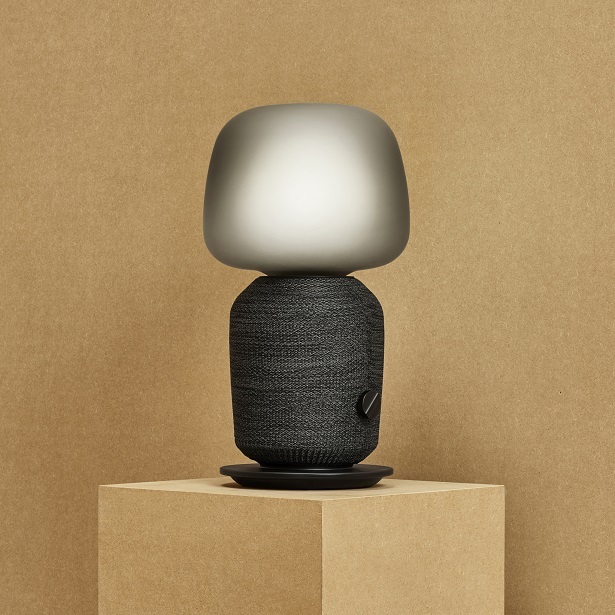 The lamp-speaker partly springs from the idea of the fireplace –one single piece that spreads warm light as well as sound,” says Iina Vuorivirta, a designer of Symfonisk lamp-speaker at Ikea of Sweden. The other product in the Symfonisk series is the bookshelf speaker. 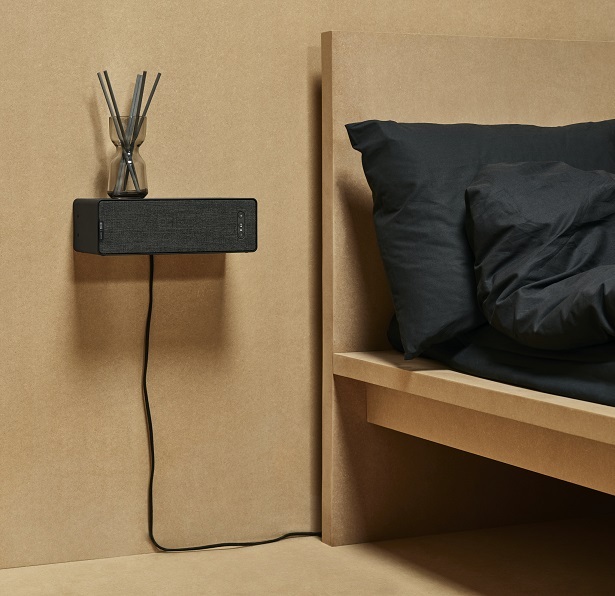 It can operate as a standalone wireless speaker, or double as a shelf capable of supporting up to 6.6lbs. The speaker can be installed on the wall via a bracket or mounted on kitchen rails with hooks. The Symfonisk table lamp will be available for $249 while the Symfonisk bookshelf speaker will go for $149. Both products will be available in August 2019.